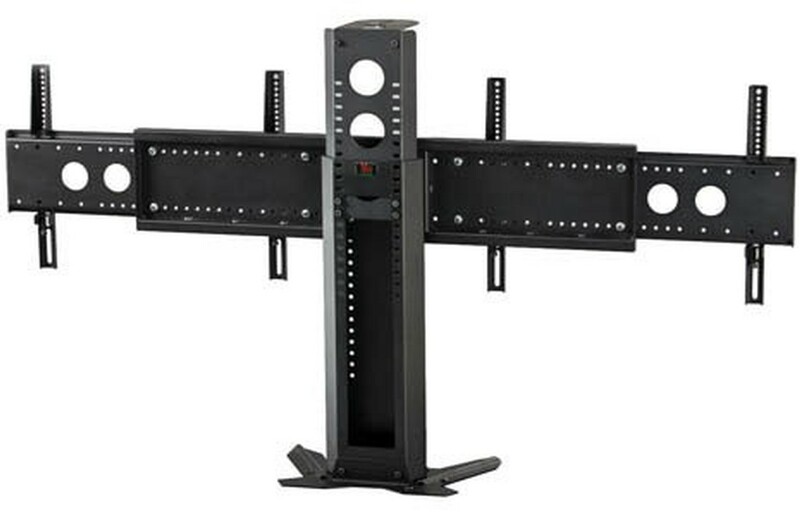 Home > Mounts -> Tabletop TV Mounts -> AVF -> PM-D Tabletop Dual TV Mount - 40" to 70"
Tabletop Dual TV Mount - 40" to 70"
For further information and alternative products, please call us at 888-999-3759 or click here to contact us. 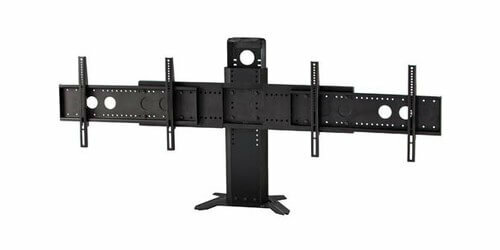 The AVF PM-D is a dual side-by-side TV mount designed to rest on a table surface, it will fit most displays in the 40" to 70" range with a max total weight up to 160lbs. 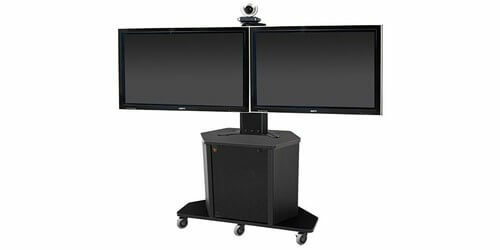 The PM-D sits on a tabletop such as carts, credenzas, cabinets, or any surface you need a TV that isn't a wall. 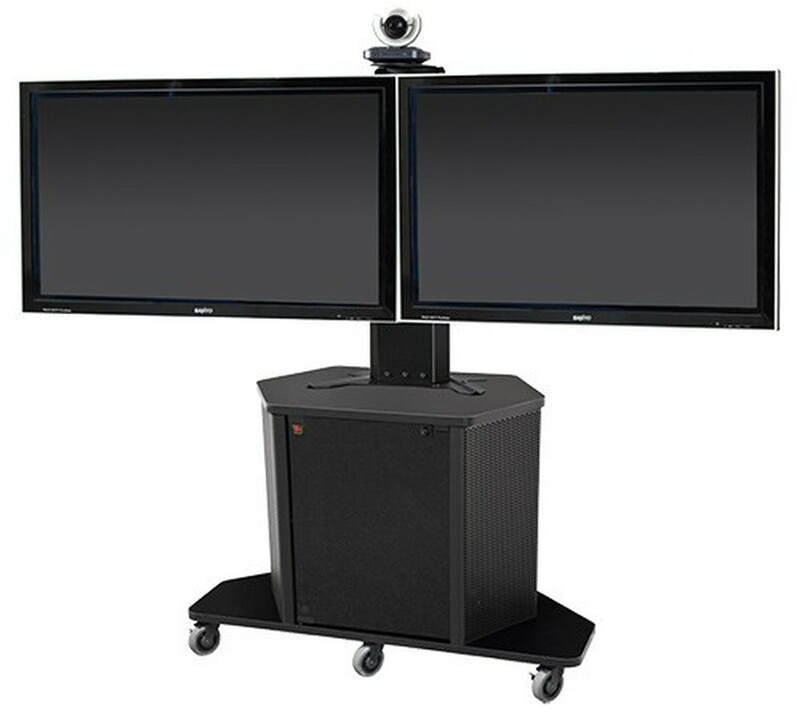 The PM-D is ideal for videoconferencing as it also includes an adjustable height shelf that can be used for a codec or camera. 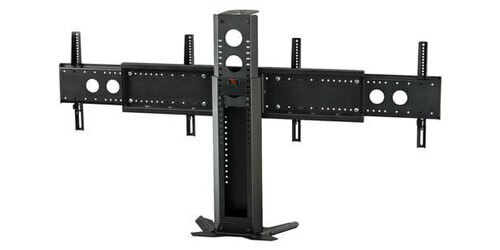 The mount is made out of rugged 11 gauge steel and features a scratch resistant powder coat finish. 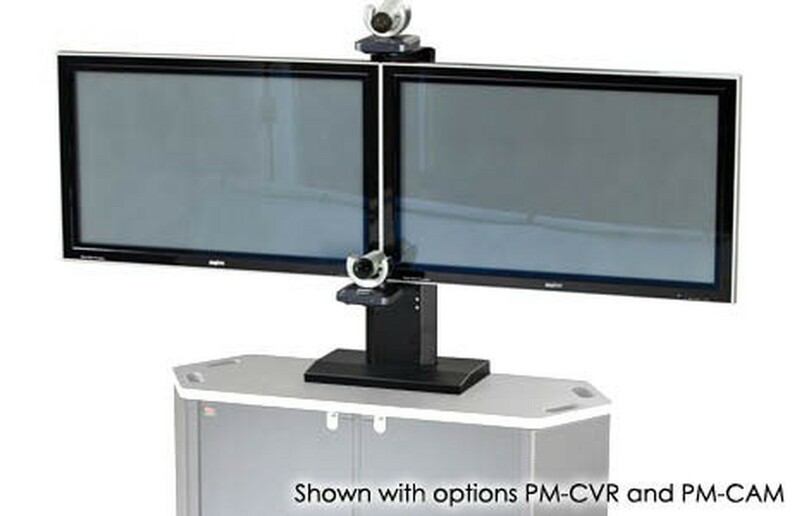 Inside the main pillar is a wiring channel to keep you wiring tidy and not visable. 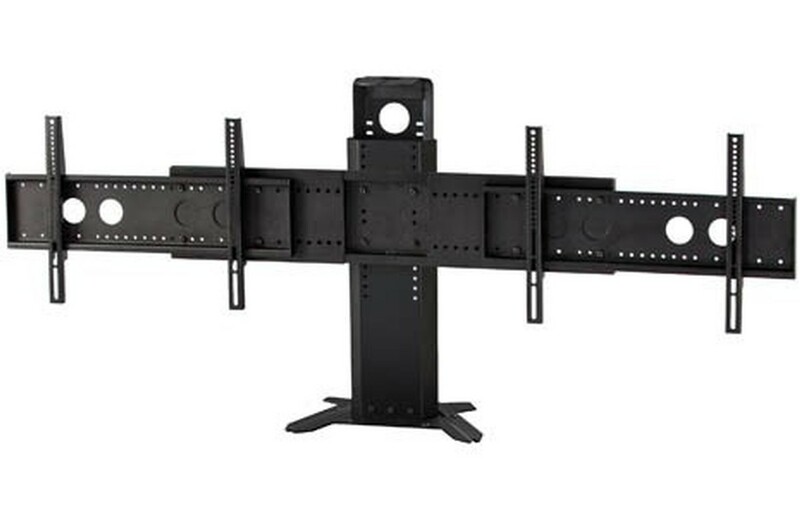 The AVF PM-D was made for those situations when you don't need a wall mount and just need a way to mount 2 TV's with adjustable height to a table and also have a camera or codec mount. 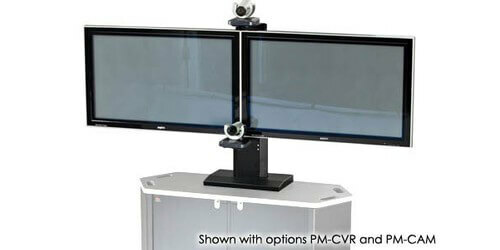 Add the optional base cover for a cleaner look by covering the bolts that attach to the mount to the table.